ABCD (American Born Confused Desi) malayalam movie review and FDFS first day reports from theatres in Kerala are given here. 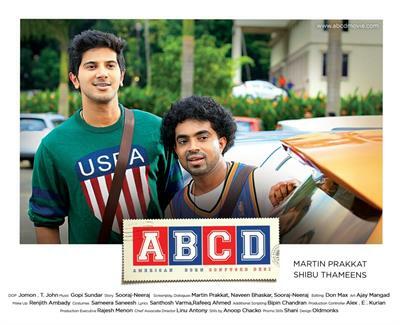 ABCD directed by Martin Prakkat stars Dulquer Salmaan, Jacob Gregory and Aparna Gopinath in lead. Produced by Shibu Thameens under the banner Thameens Films, the tunes are set by Gopi Sunder. Jomon T John has helmed the camera while Donmax had done the cuts. 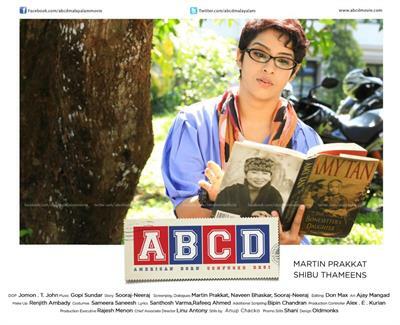 After months of anticipation, one of the most awaited malayalam movie 'ABCD: Amercian Born Confused Desi) has reached theatres. After his direcrorial debut 'Best Actor' featuring Mammotty in lead, Martin Prakkat is back in business, this time teamed up with Dulquer Salmaan for his next which zooms into the journey of two young American Malayalees to their motherland Kerala. Inspired by a news article, this movie unfolds the funny events which happened in the life of two cousins, Johns Isaac (Dulquar) and Korah Murikkan (Jacob Gregory). Due to some unexpected events both Johns and Korah were forced to come to Kerala. More interestingly Dulquer and Jacob Gregory do have real life connection with the United States. As a student Dulquer had send few years of his life in US while Jacob Gregory is a US citizen. Other than actors like Lalu Alex, Vijayaraghavan, Chempil Asokan and Kalpana, ABCD would be a launching platform for Aparna Gopinath, Tovino Thomas, Savannah Schechter and Sajini Sachariah. Aparna who hails from Chennai is a known theatre artist who plays the role of Madhumitha, a friend of Johns and Korah. Having foreign outfits and calm behaviour, Johns could gather then support of his near ones. Johns later has to go through some untried situations which takes the movie to the next phase. The sticky situations faced by Johns and Korah are crafted in a hilarious manner which could keep the audience intact. In simple words this movie having a running time of 2.5 hours is a complete entertainer which can bring freshness to your mind. Shot at New York, New Jersey and Philadalphia and Kochi, this movie will be a visual treat for movie enthusiasts. Produced by Shibu Thameens under the banner Thameens Films, the tunes are set by Gopi Sunder. Jomon T John has helmed the camera while Donmax had done the cuts. Dulquer Salmaan has improved a lot while comparing with his past performances. His combination scenes with Jacob carry elements which would tickle the funny bone. Martin Prakkat has done put all his hard work staying behind the camera which got succeeded. Young cinematographer had worked as the soul mate of Martin delivering beautiful shots which could keep the eye balls out. Gopi Sunder's tracks had done the wonders while the songs shot at exotic locations would deliver the reward. ABCD is complete entertainer which is creamed with all essence to keep the family audience amused. So this movie would be the perfect choice for this weekend.